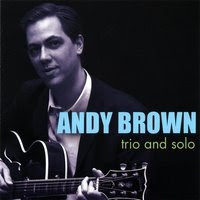 The Andy Brown Trio will be performing at the Blue Wisp Jazz Club this Thursday, April 10th at 8:30pm. The trio consists of Andy Brown (guitar), Rob Allgeyer (organ), and Ben Cliness (drums). Together the trio makes for some great listening. Keep in mind this is a Thursday performance, so that means UrbanCincy night at the Blue Wisp. Be sure to go check out the club and the Andy Brown Trio…and most importantly mention UrbanCincy at the door and get $3 off the $10 cover charge.